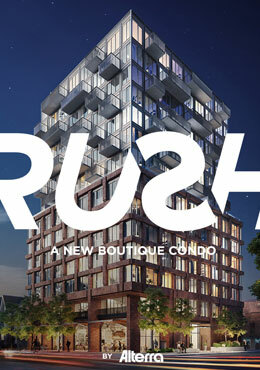 RUSH condos is a new pre-construction condominium by Alterra developments located at Rush Lane and Augusta Avenue in Toronto. RUSH Condos will be 13 storeys and has a total of 108 units. This boutique mid rise development will feature a landscaped roof-top terrace, modern lobby, a collection of indoor facilities, ample bike storage and 36 parking spots for residents. 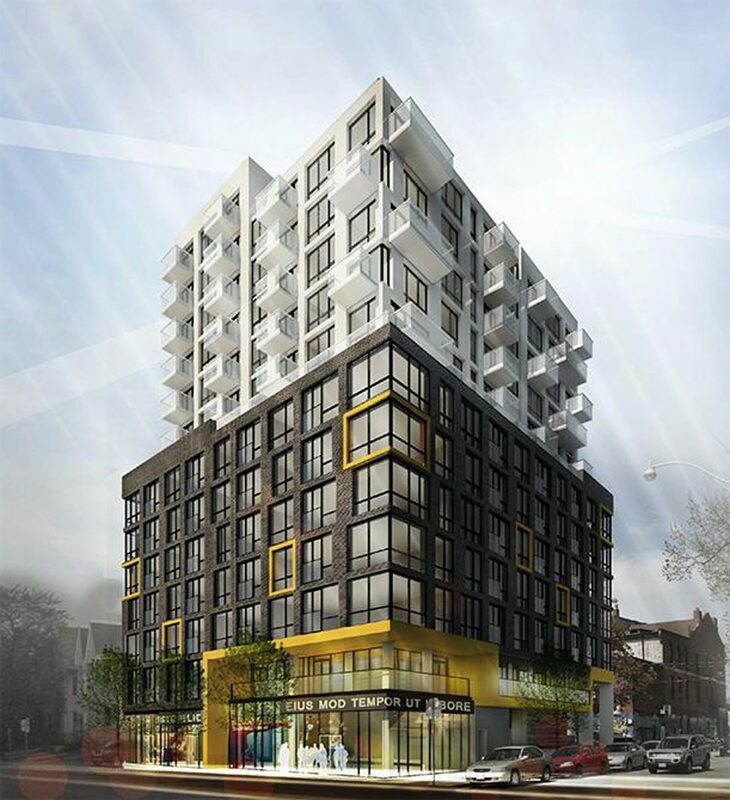 Located at 520 Richmond Street West, Toronto in the Chinatown-Alexandra Park neighborhood, Rush Condos has a 99/100 walk score and a 100/100 transit score. RUSH is bordered by the twice acclaimed coolest street in the world by Vogue Magazine, Queen Street West, and the beautifully busting King Street West. Residents are steps away from shopping, daily necessities, boutique shops at Queen West and top rated bars, restaurants and cafes in Toronto’s entertainment district. 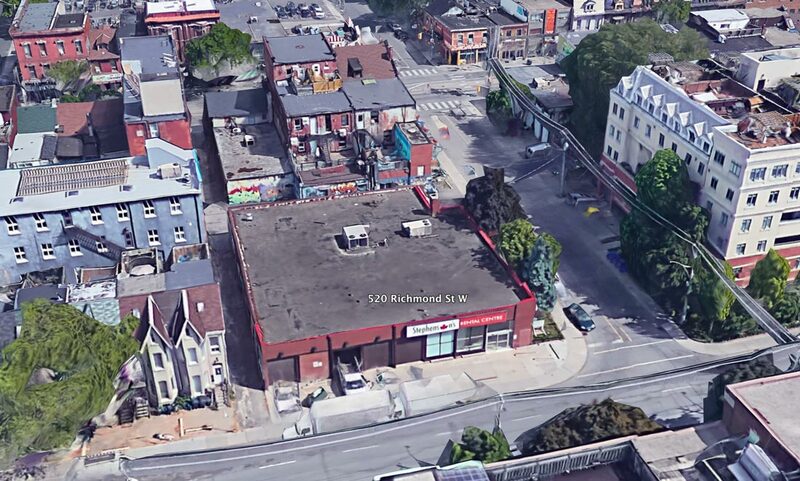 Live walking distance to Fashion district, Chinatown, and Kensington market. RUSH Condos is a short walk away from the Osgoode subway station that connects riders to Union Station, Go Trains and the UP Express to Pearson International Airport. South of this site will be a seven acre redevelopment that will feature 7 towers with ample office, commercial, retail space and hundreds of new jobs. Sign up today to be part of this growing neighborhood that attracts many young professionals and individuals looking for a condo to live. Floor plans & Pricing are coming soon! Be first to choose from efficiently designed one, two and two bedroom plus den layouts. 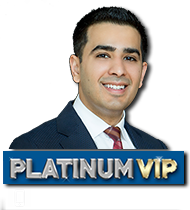 Register and get first access to the VIP sales event this October. Save thousands plus receive bonus incentives with every purchase.